Our wish for you this Christmas is that you may find true happiness and joy. Happiness comes from our love for others. These two girls are enjoying one another’s company despite the torrential rain. 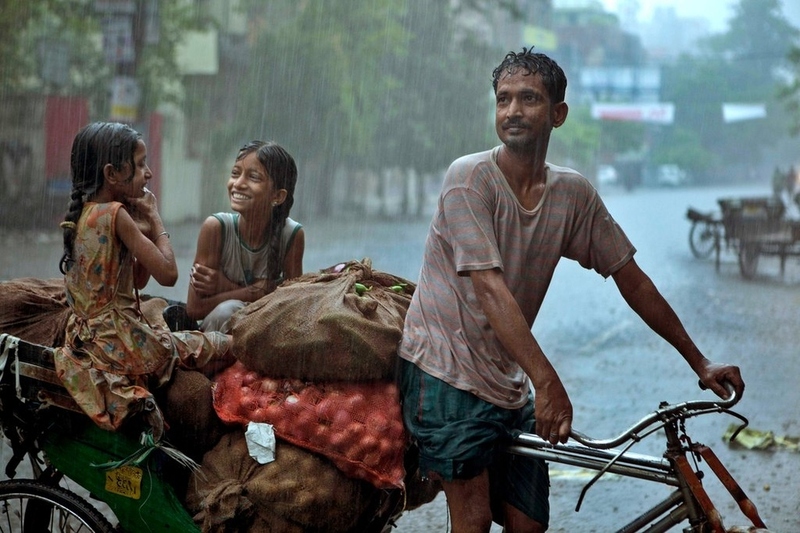 The driver, presumably their father, has an expression of contentment in their presence even while he is soaked to the skin and delivering a heavy load. All happiness and all pleasure comes from love. The greatest happiness in life comes from loving God and loving other people, because the very nature of God flows into that kind of life. 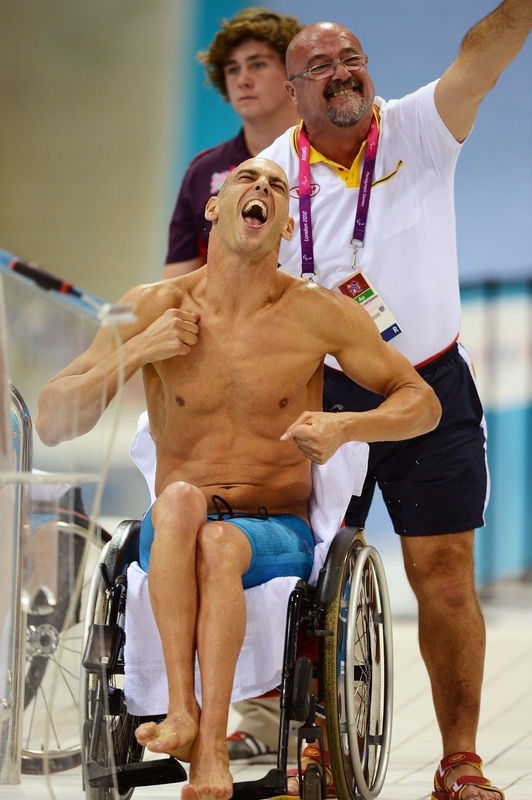 This paralympian is ecstatic over winning, not gold, but silver. No Olympic silver scowl here! Happiness can shine through from within regardless of physical handicaps. Happy are those who find wisdom, and those who gain understanding. 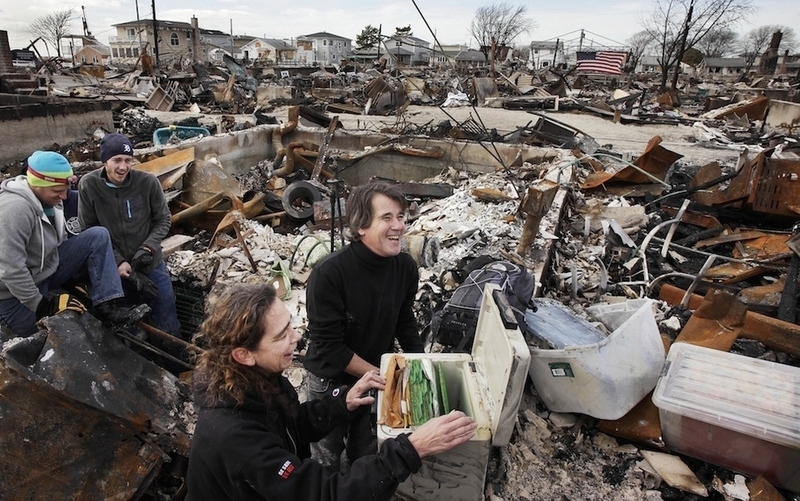 Here, Rosemary McDermott and her husband rejoice as they discover that their treasured genealogical records survived the destruction of their home in the Breezy Point section of Queens, New York, which was ravaged by Hurricane Sandy. Some good can come from every disaster—such as treasuring what we still have. When we trust in God, we are constantly receiving good things from God. Whatever happens to us, whether it seems like an advantage or a setback, is still good because it serves as a stepping stone leading us toward eternal happiness. Speaking of disaster, in this picture two rescue workers smile as they carry a young girl out of the rubble of her home in India. Our greatest joy comes in doing good for others—and there is special joy in helping others out of harm’s way. Happiness comes to us when we engage in useful services as part of our work. 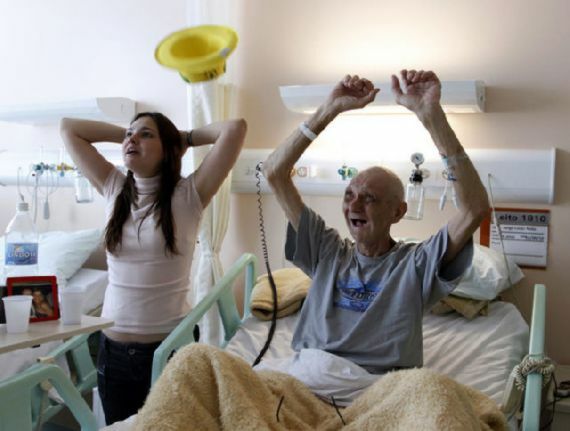 Even when death is staring us in the face, we can still feel joy! Whatever may be happening in your life, we wish you happiness from within and with your loved ones during this sacred season and in the new year! ‹ Is the World Coming to an End? What about the Second Coming? And blessings to you for your inspirational message. Peace. Thank you. a good happy 2013 for you both.